Ever dream of running your own business and being your own boss? Today's Feel Good Friday organization, SCORE, can help you make it happen! 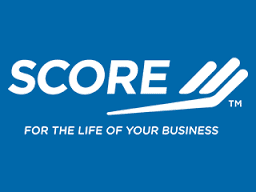 In their own words, "SCORE, America's premier source of free and confidential small business advice for entrepreneurs and small businesses, is a nonprofit resource partner with the U.S. Small Business Administration (SBA). We have over 300 SCORE offices across the country offering free business mentoring and low- or no-cost workshops." SCORE volunteers, now numbering over 13,000, have been mentoring small business owners, and aspiring small business owners since 1964! Headquartered in Herndon, Virginia, there are chapters across the United States, including many in the Bay Area. People who access the services of SCORE do so throughout the lifecycle of owning a small business. In 2014, 33% were considering starting a business, 30% were in the process of starting a business, and 37% were already in business and looking to take it to the next level. There is a wealth of information on the SCORE website including the benefits of receiving mentoring, a series of training courses and workshops you can take, and reasons to put your own expertise to use and become a volunteer mentor. If you're looking for some inspiration, you can read a variety of SCORE success stories here and even sort them by business stage and industry. As always, to stay in the loop with the national organization, like their Facebook page and follow them on Twitter @SCOREMentors. SCORE has the goal of helping 1 million clients by 2020. Perhaps one of them will be you!